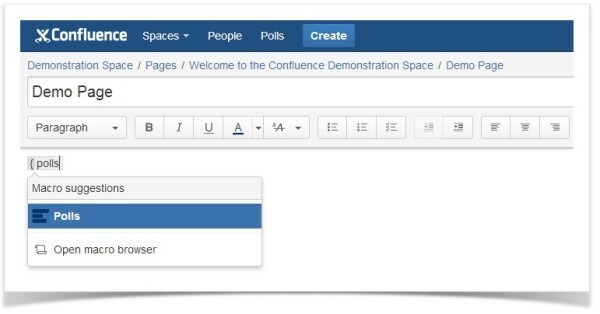 Polls for Confluence as the name implies let you create polls and share them with collaborators. 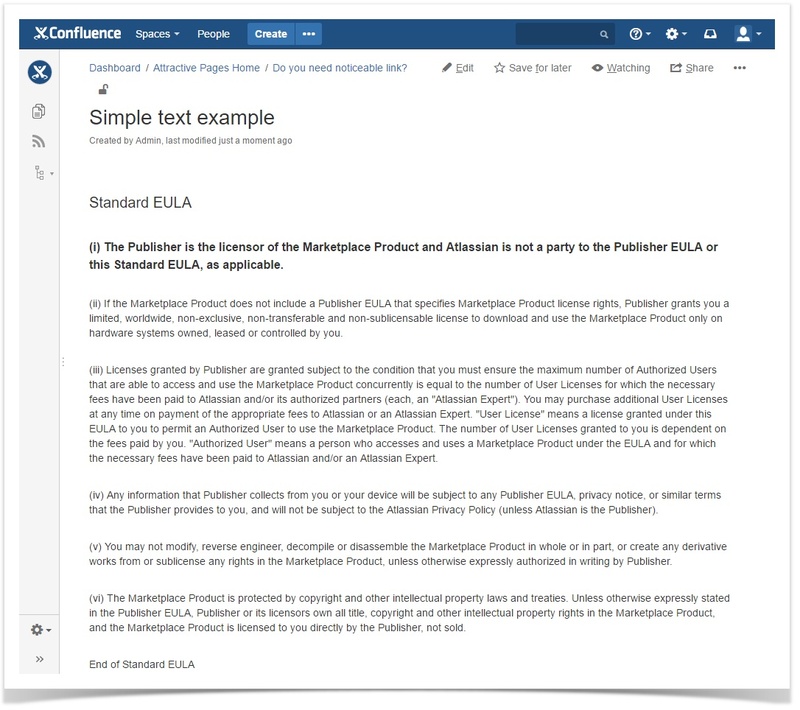 The installation process is easy, find it on Atlassian Marketplace via UPM, generate a trial license and use the add-on free of charge for one month. After you install the add-on, you’ll notice the Polls button on the menu bar. Clicking it takes you to a list of polls. 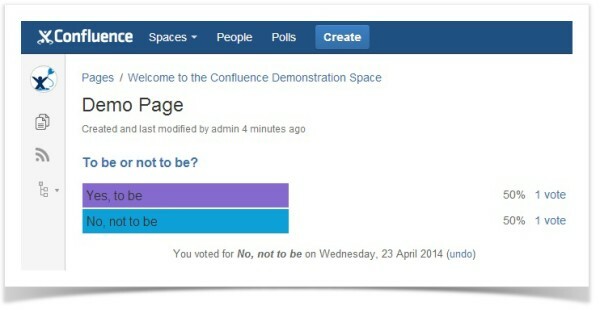 There’re two buttons for creating polls on the page. 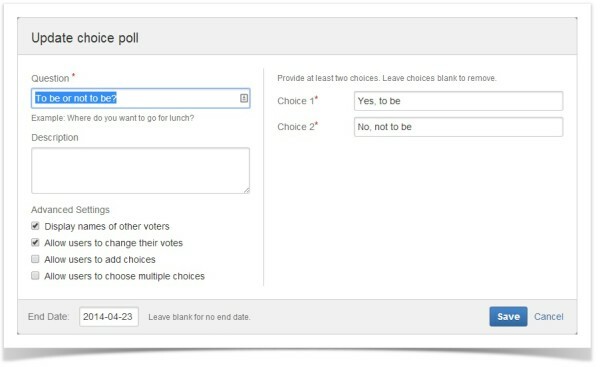 Polls can be of two types: Make Choice and Schedule Event. By default, you create polls on the Your Polls page and nobody except you can access them. 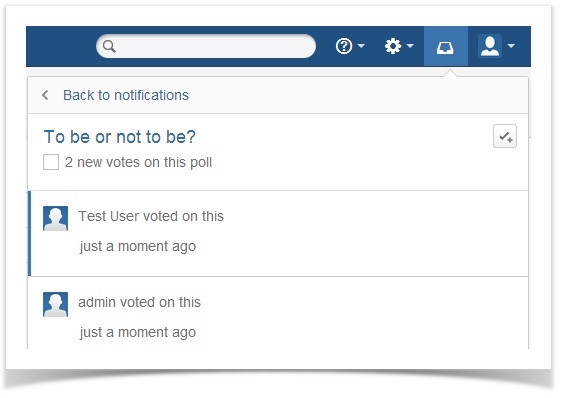 The list of created polls is available by clicking the Polls button on the menu bar. We’re mostly done, just click Insert and the poll is open to all users who can access this page. 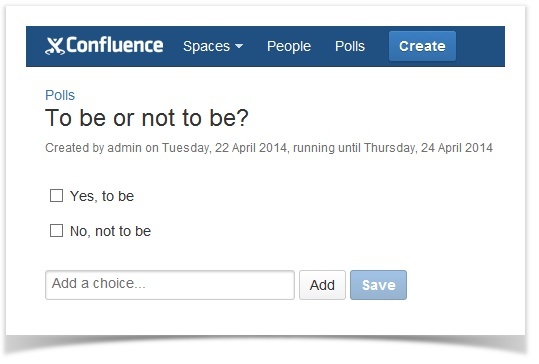 Voting has started! 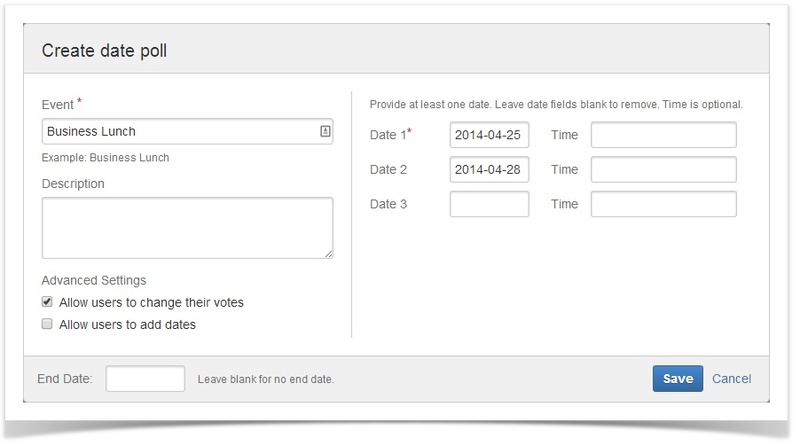 Moreover, there’s a setting for displaying voters names for every option in the poll. The poll creator can enable or disable this. 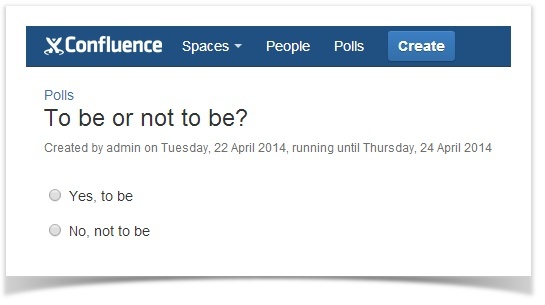 Apart from that, you can stop a poll (even before the end date, if it’s set). 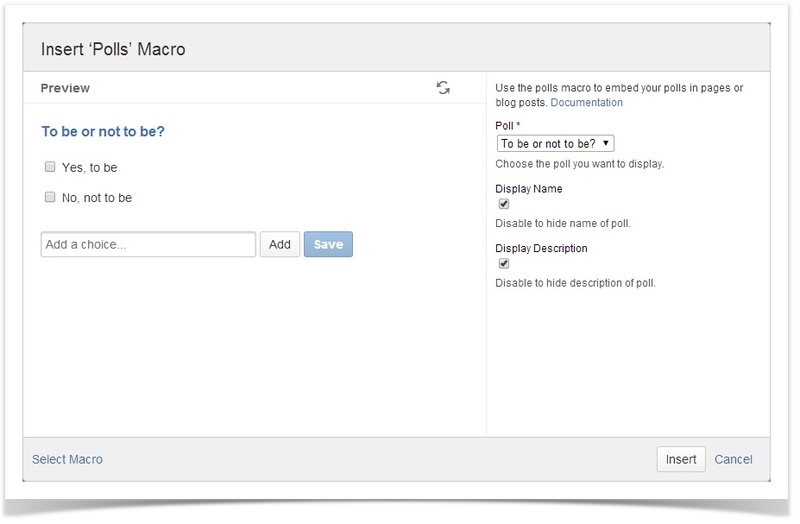 Or you can delete a poll which will produce an error message on the page where the poll was posted telling you that the macro cannot be rendered since the poll is not found.